Ancestry.com has birth records for Summit County on its website. 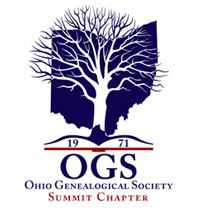 The database is entitled 'Summit County, Ohio, Birth Records, 1866-1908'. Summit County death information is available from 1908-1953 on FamilySearch.org. Information is also available on Ancestry.com. Our publication, "Summit County, Ohio Death Records Volume III 1876-1878 and scattered records 1900-1902" has been removed from publication and is available here as a pdf file.